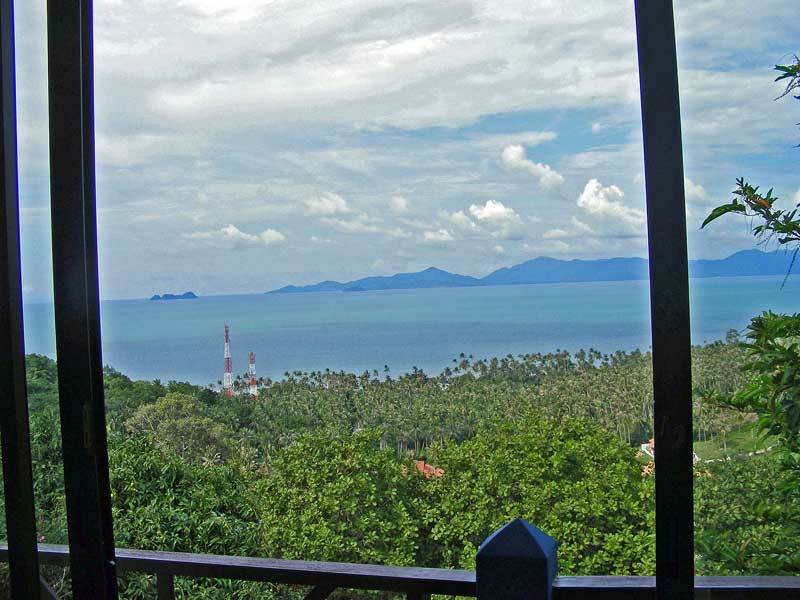 The hilltop Sea View Villa has fantastic views over the northern shore of Koh Samui and also towards the mountains and sunset of the western shore. 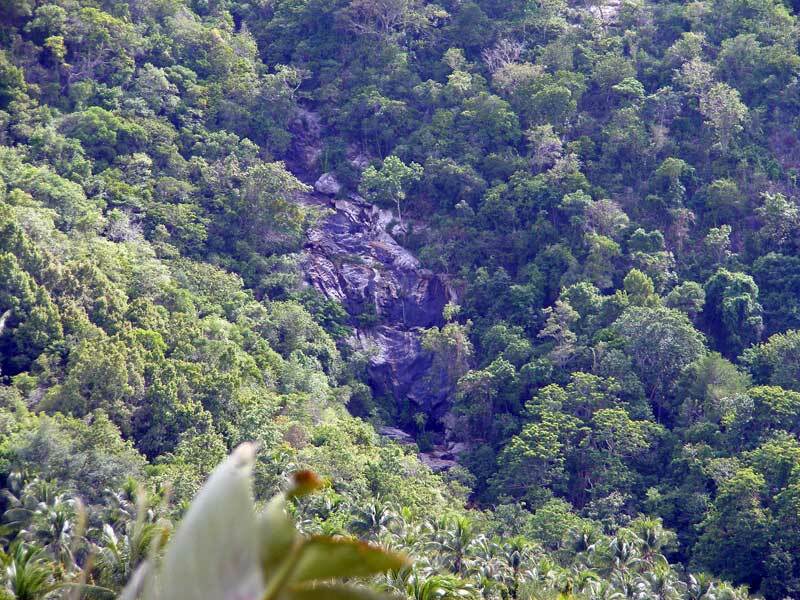 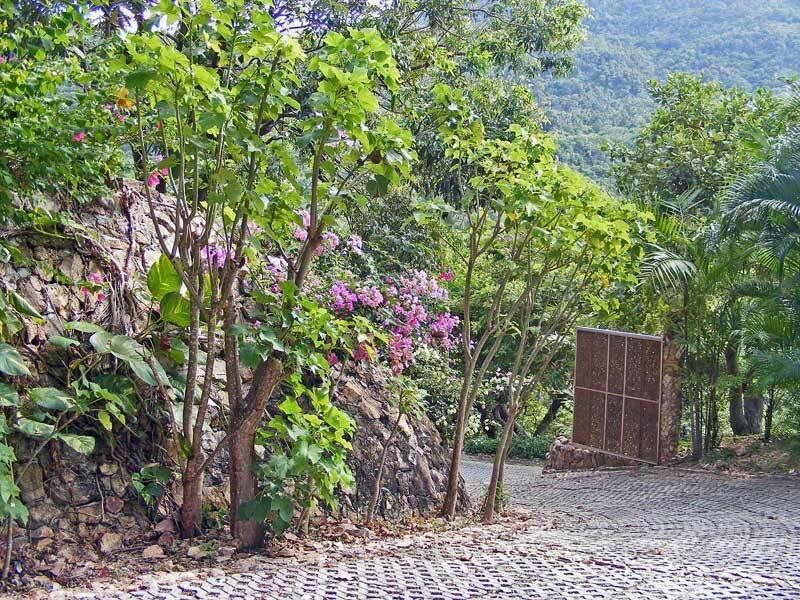 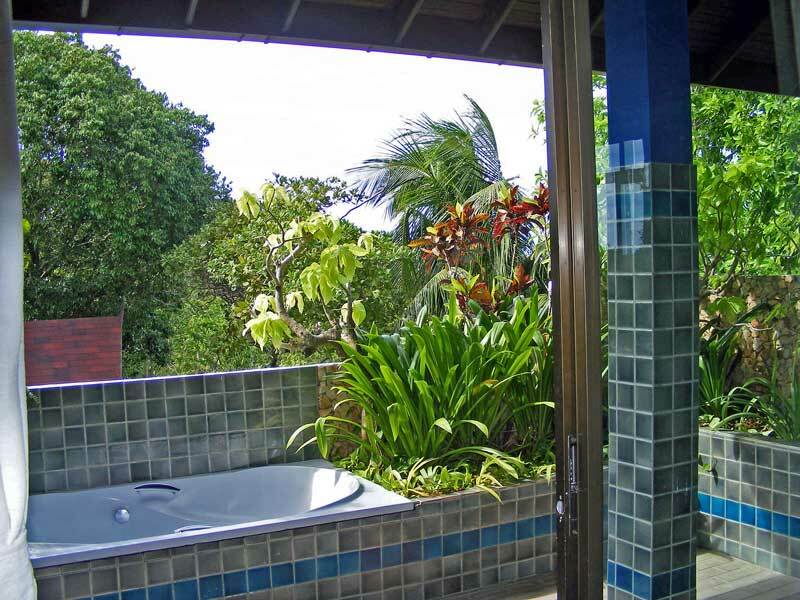 The valley behind the villa is richly covered with coconut plantations and native trees and waterfalls in the rainy season. 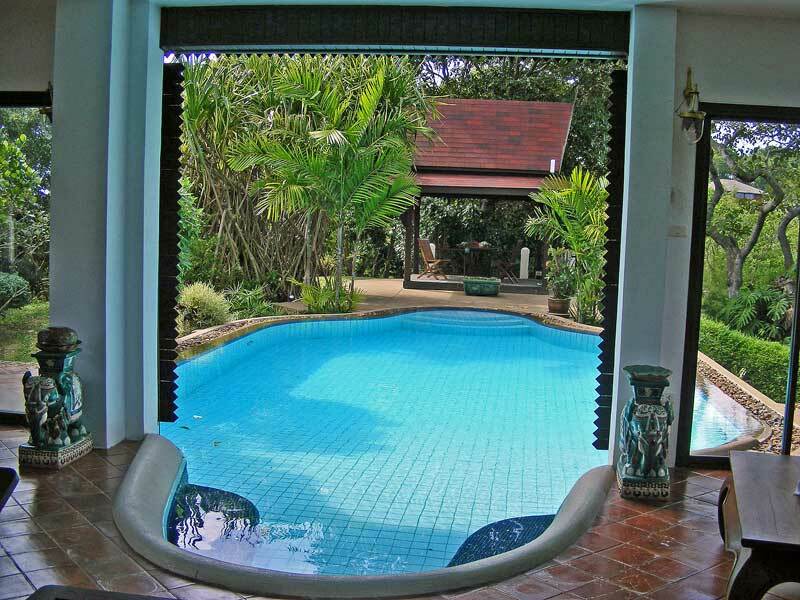 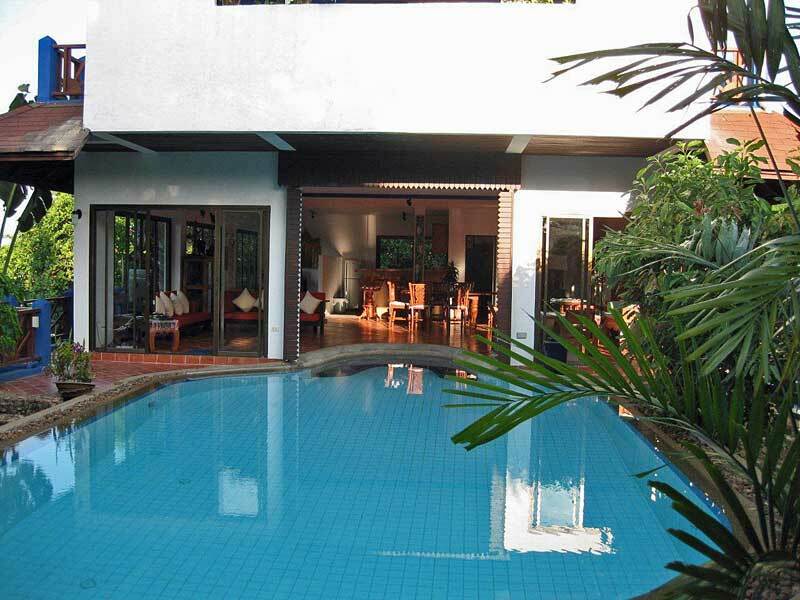 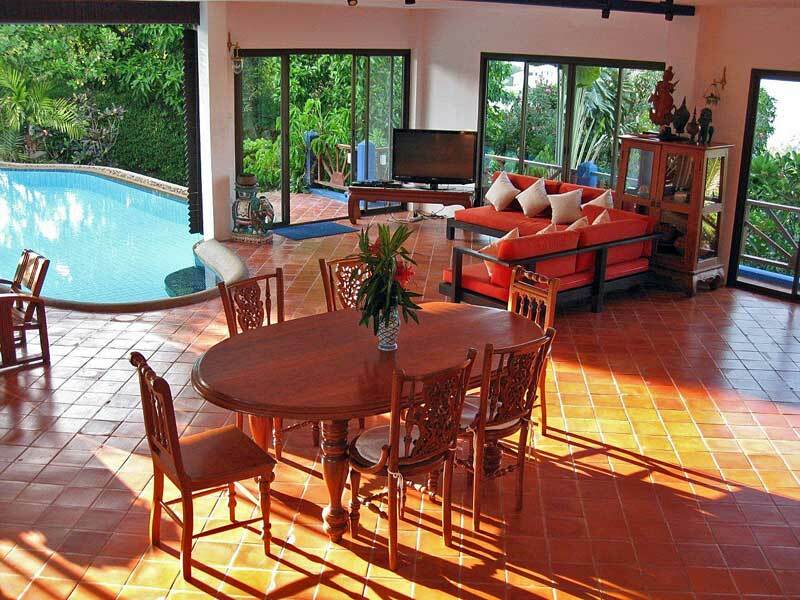 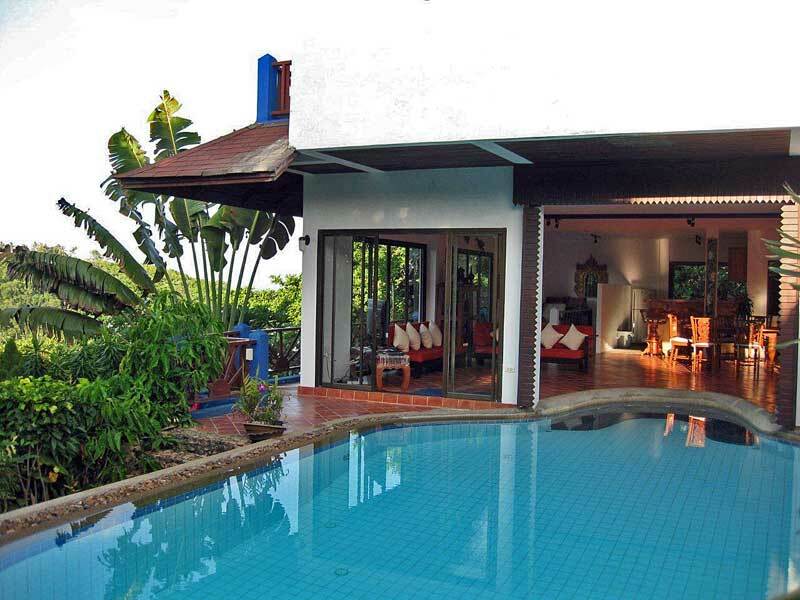 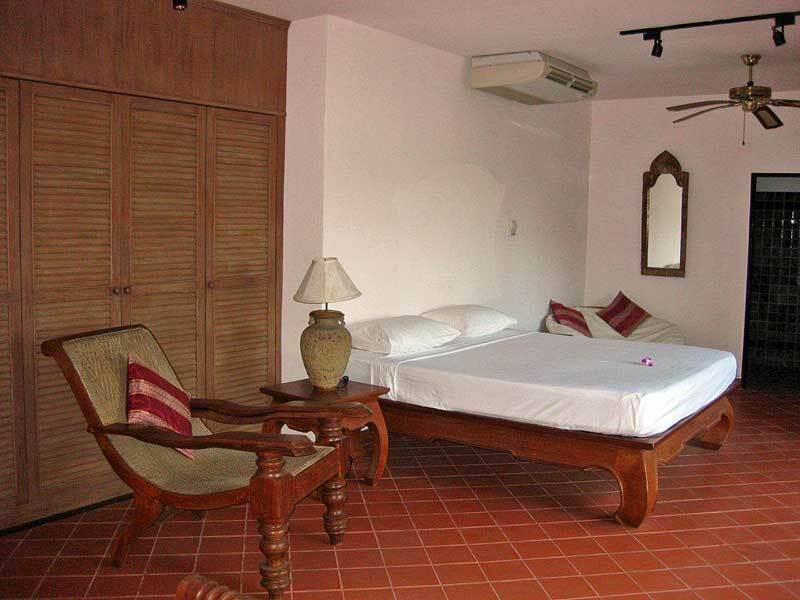 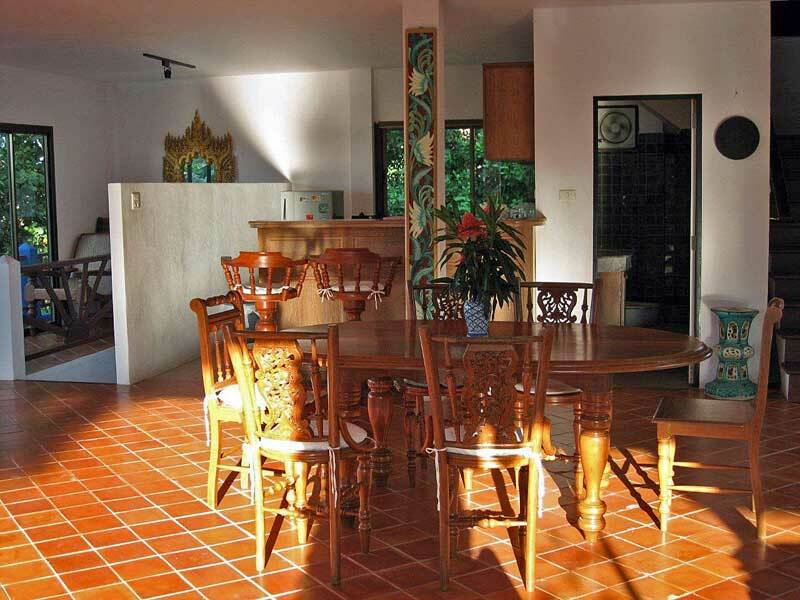 The villa located in the Ban Tai area of Koh Samui inside the popular residential development of Santi Thani. 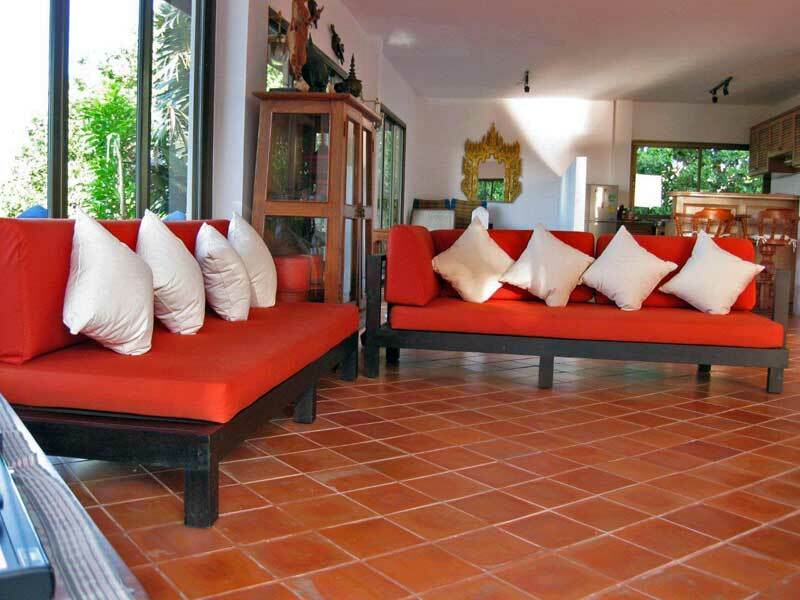 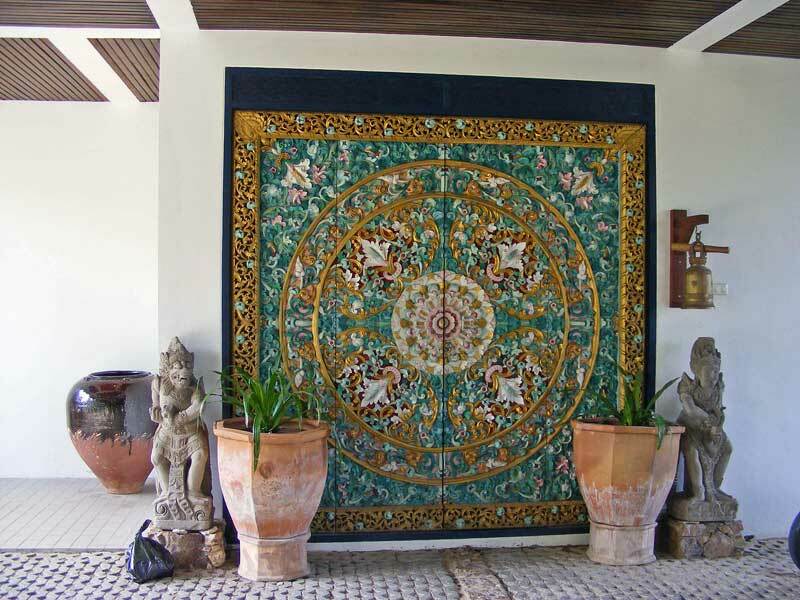 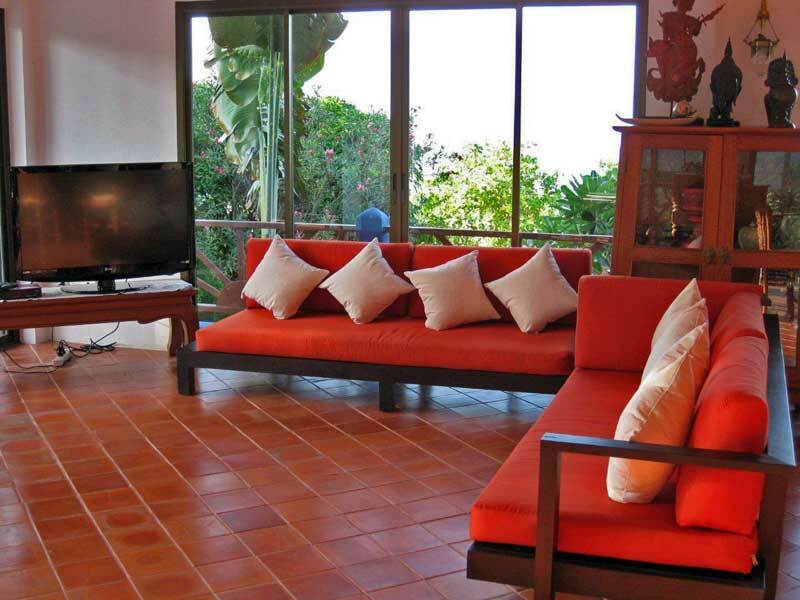 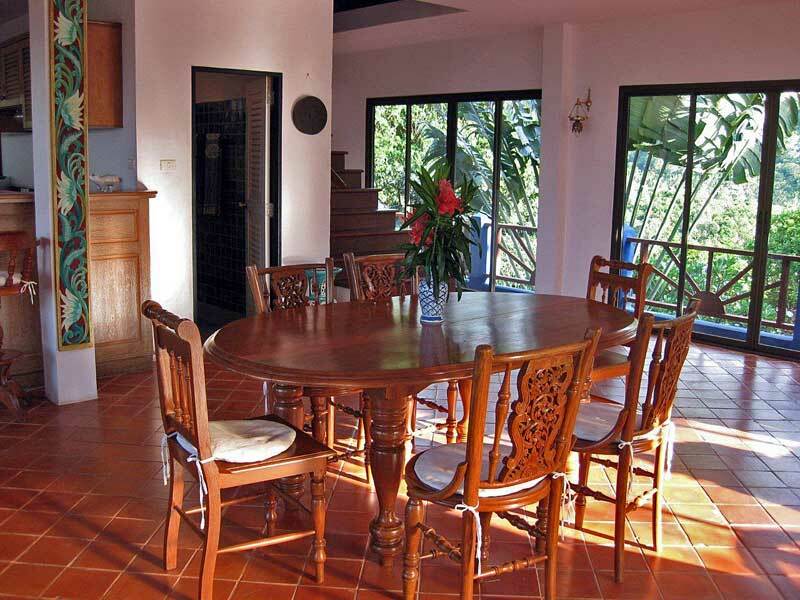 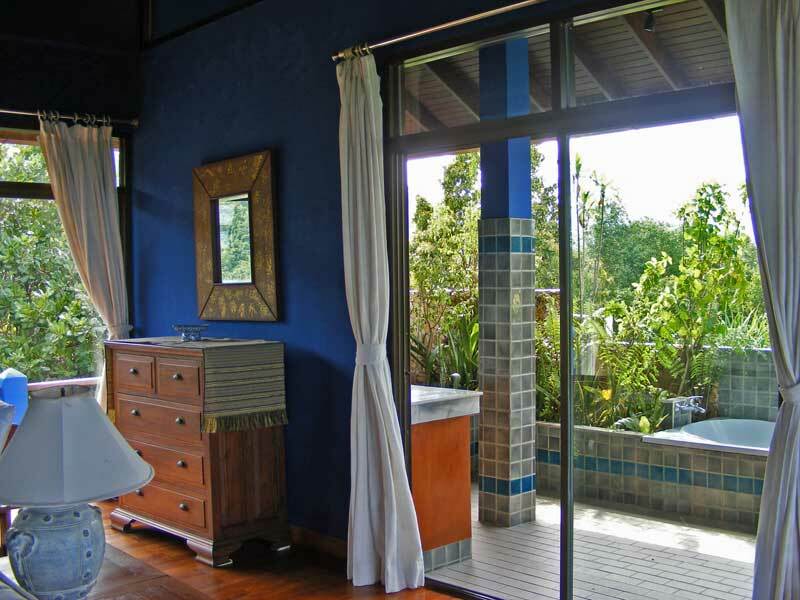 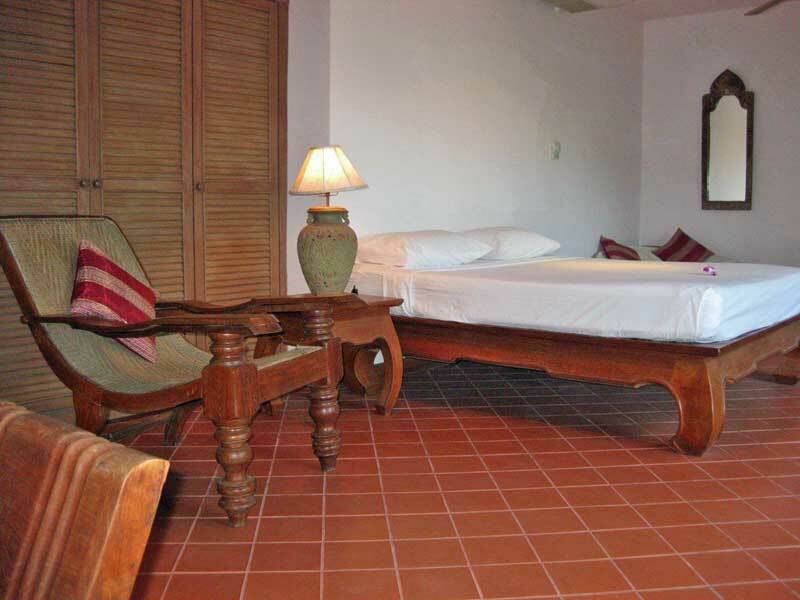 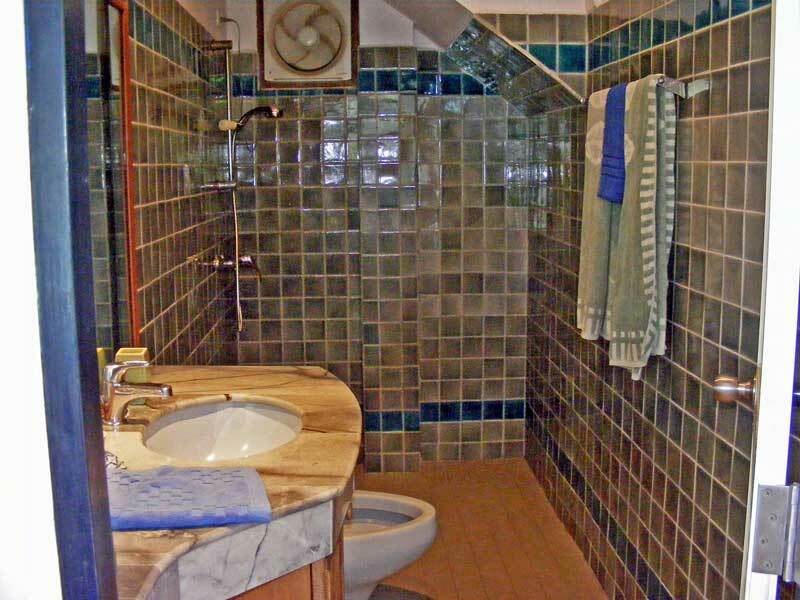 The Villa has been tastefully furnished with artefacts and wooden furniture collected by the owners. 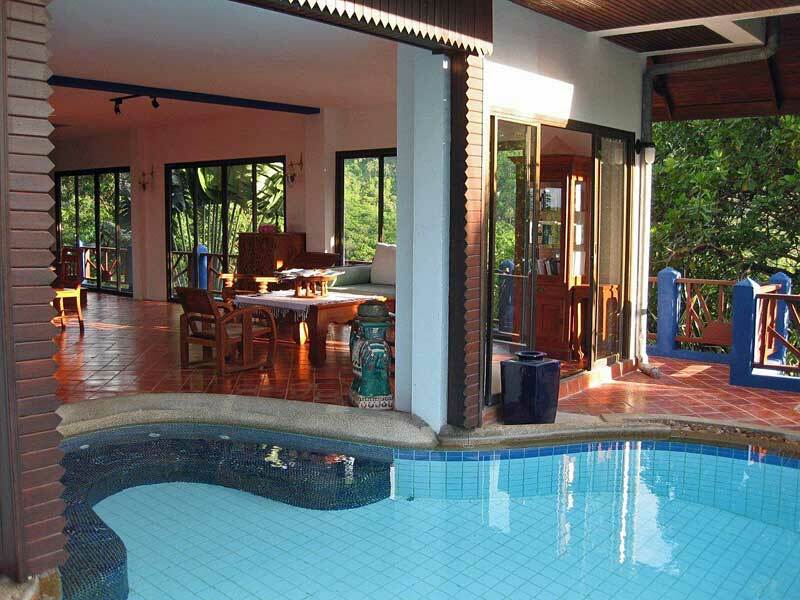 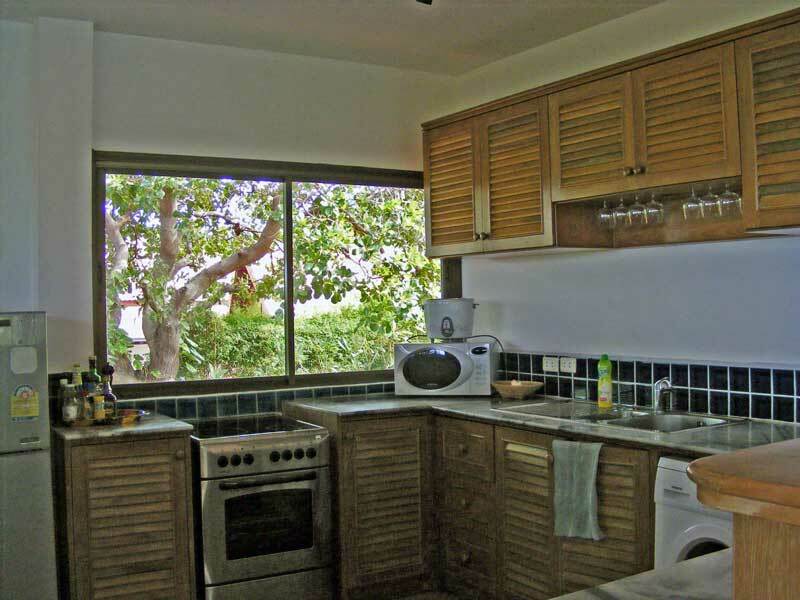 The Villa has 2 large queen size bedrooms with en suite bathrooms downstairs and a huge master suite on the top floor with wraparound balcony from which to enjoy the fabulous ocean views. 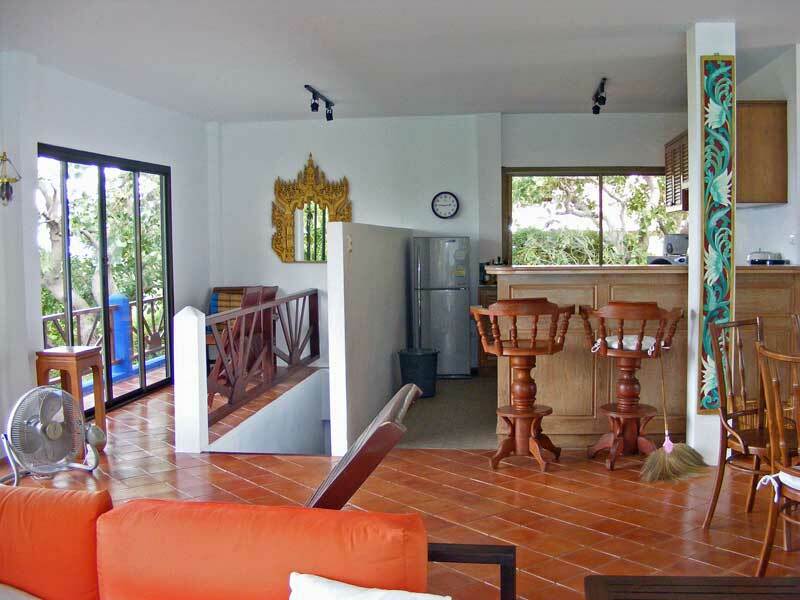 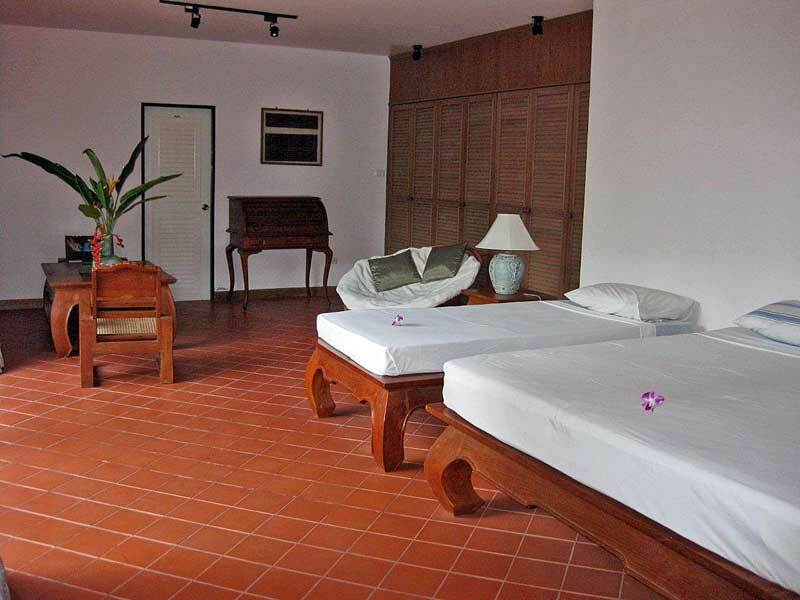 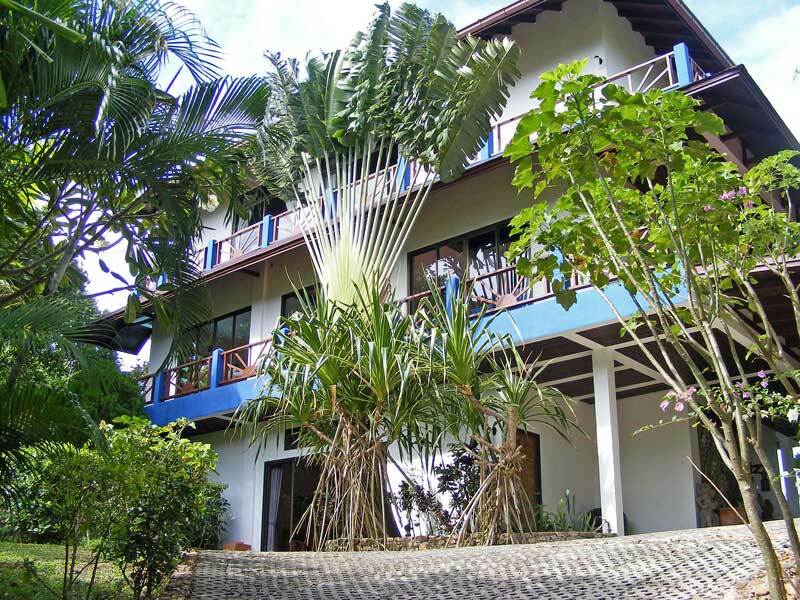 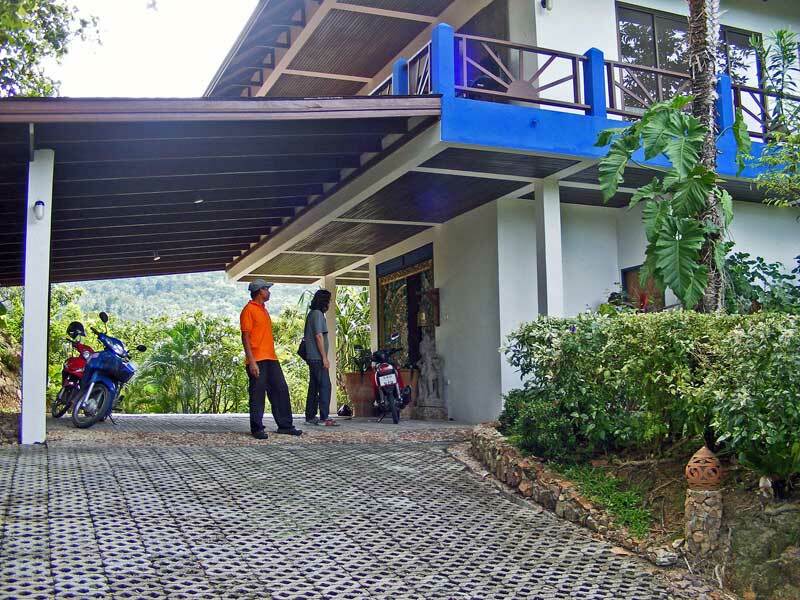 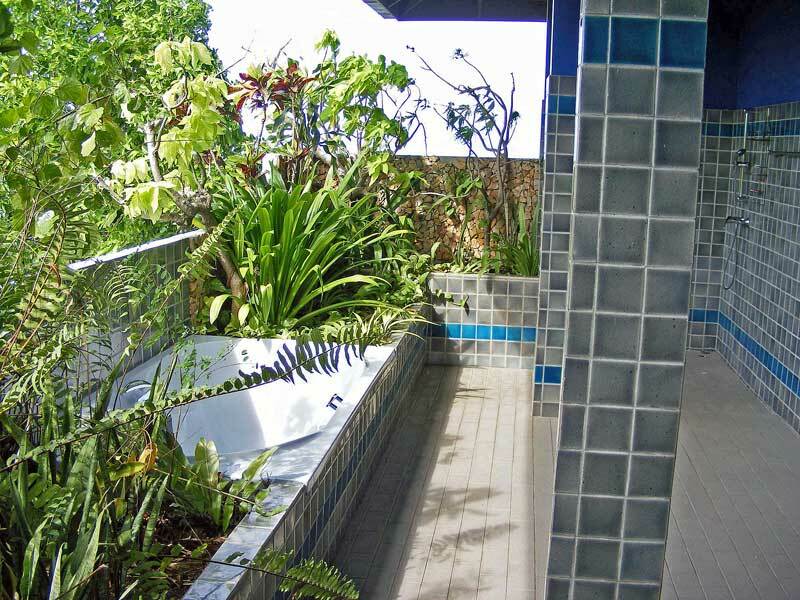 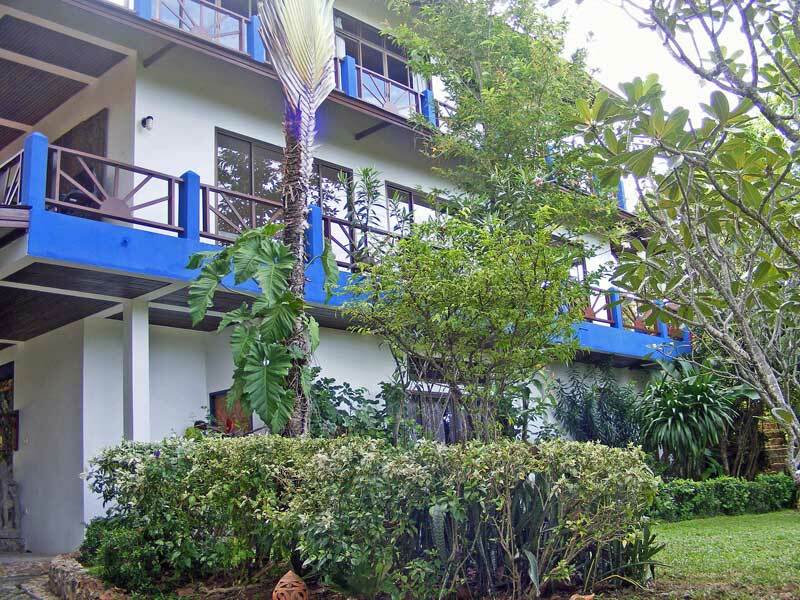 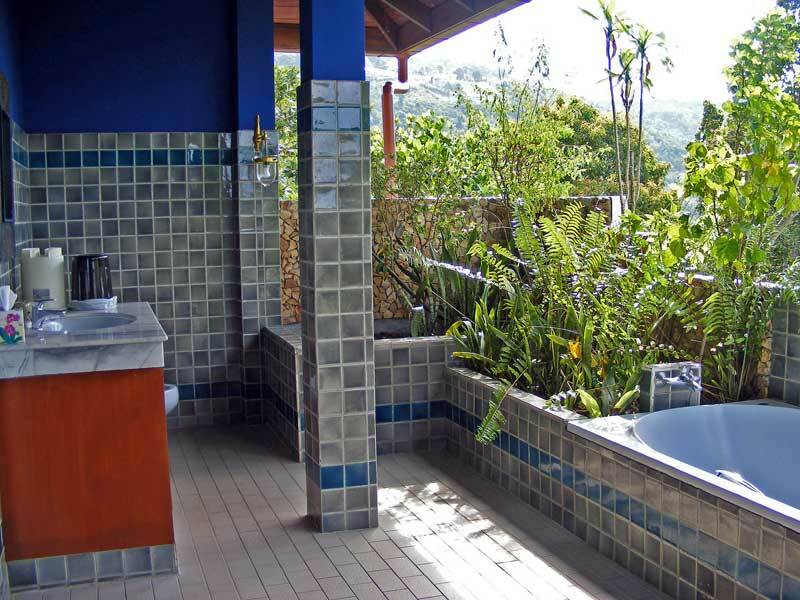 The hilltop Sea View Villa has WIFI internet access.